I used it to create this sea glass wall art. Assorted sizes of white sea glass, plus one blue piece for the 'eye'. A sketch of your sea horse plus a frame with glass to fit. 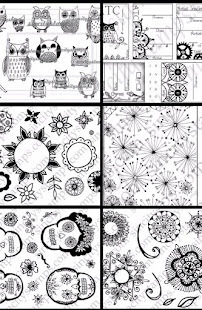 Parchment paper (to protect your work surface). 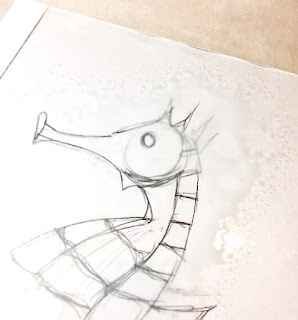 Place the sea horse sketch on your parchment paper and carefully lay the clean glass on top. Shake the Mod Podge Ultra for about 30 seconds and prime it by spritzing onto a paper towel. 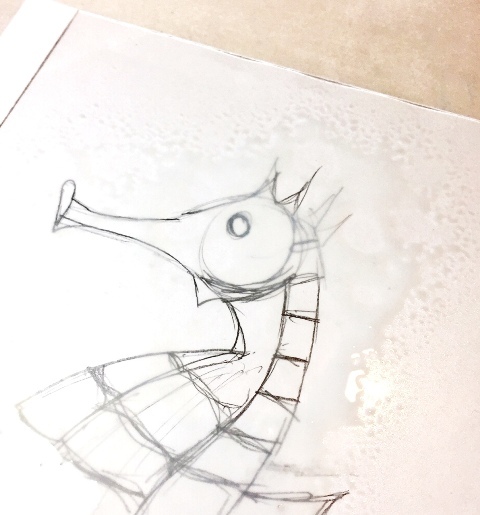 Then spray onto the glass, covering the design. 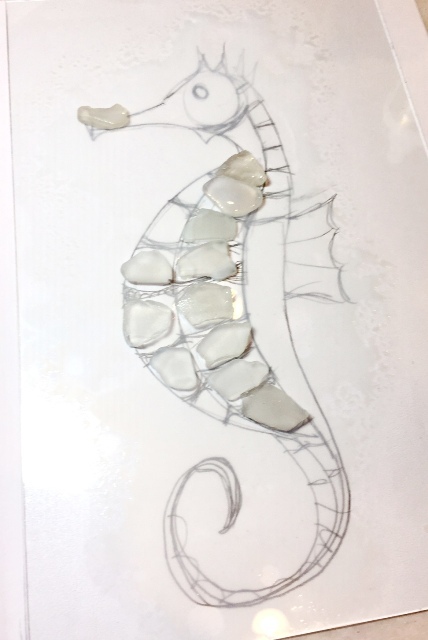 Start placing your sea glass pieces onto the glass. 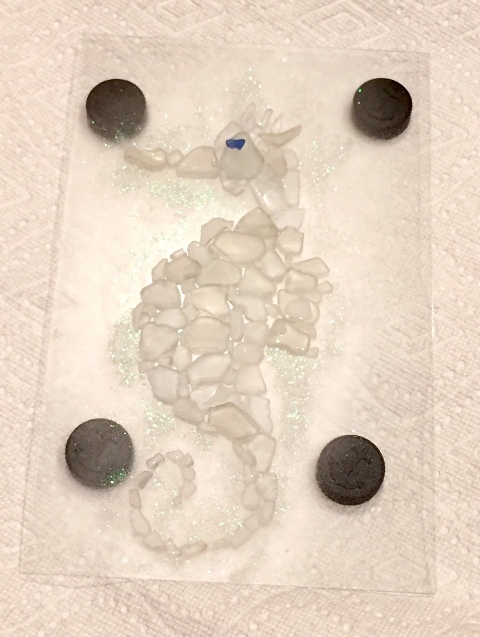 The Mod Podge Ultra is slow drying, so you can easily re position the sea glass if needed. I used a toothpick to move pieces around, but if any got on my fingers I simply wiped it off with the wet paper towel. Use the spray minimally, you don't need to 'drench' the glass. Just keep it moist enough for the sea glass to sit. 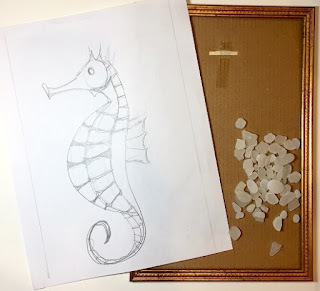 When you have finished filling in the sea horse, sprinkle your glitter around the design. The Mod Podge Ultra also acts as a sealer, so when you are done, give your project a once over with the spray. Place the glass frame onto the 4 bottle caps to dry 4 hours or more. Before placing back in the frame, add some washi tape around the border of the glass. This will hide the frame back tabs and give it some 'cushion' so it stays put. 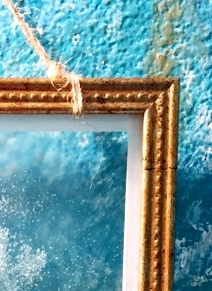 Tie some twine around the frame before adding the glass. The glass will hold the twine in place so you can easily hang your sea glass wall art! Here is another variation I did using a variety of colored sea glass and a tiny sea star. What I love about the Mod Podge Ultra matte, is that it goes on clear but dries frosted - keeping the integrity of the sea glass that I've collected on my countless beach walks! Plus I love how it makes the glass around the wave seem 'etched'. 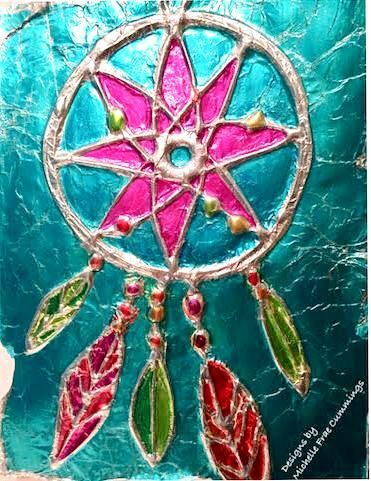 Join in on the fun and see what other some other designers have created using Mod Podge Ultra! 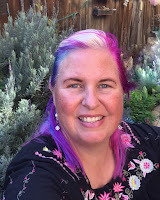 Visit the blog hop here! wow - just wow! I would have never thought to use Ultra Mod Podge for this project I am converted. Michelle I fell out of my chair! Amazing work! I LOVE it! Just fabulous!!!!! this is absolutely beautiful!! I think my mouth fell open when I first saw your project. Awesome Job! Wow! So cool. Such a great idea! 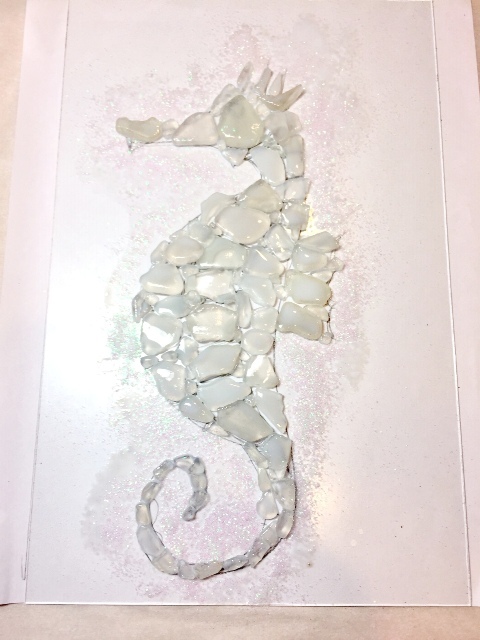 Love your sea glass mosaic art. And, it's amazing that the spray holds them in place. So clever! Love how this turned out. Nice inspiration! 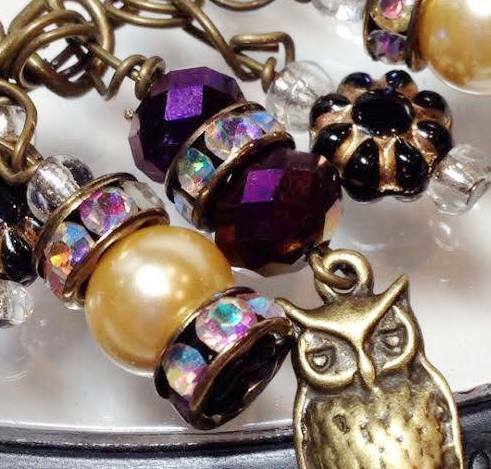 Art Charms and Faerie Garden Swaps! My name is Michelle Frae Cummings. I am a artist, wife, teacher and a mom. I find inspiration for my art in all aspects of life. The more color, the better! I look forward to sharing my creative adventures with you. - Welcome to my blog! Past and Present Product Promotion. A linked brand name in my posts means that I've received free product and/or compensation from that brand. 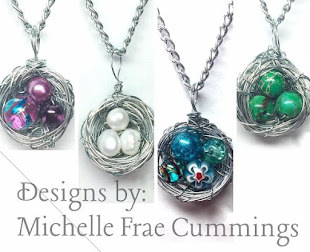 This blog is a collaborative blog written by Michelle Frae Cummings, Artist, Designer, Instructor and it is my opinion on the products that I use for my creative style. They are not to defame, humiliate or cause injury to anyone should you decide to act upon or use the information provided.